The one on the right is for fun, and no character in particular. It occurred to me after I did that people will assume it's Avatar inspired, which is wrong. 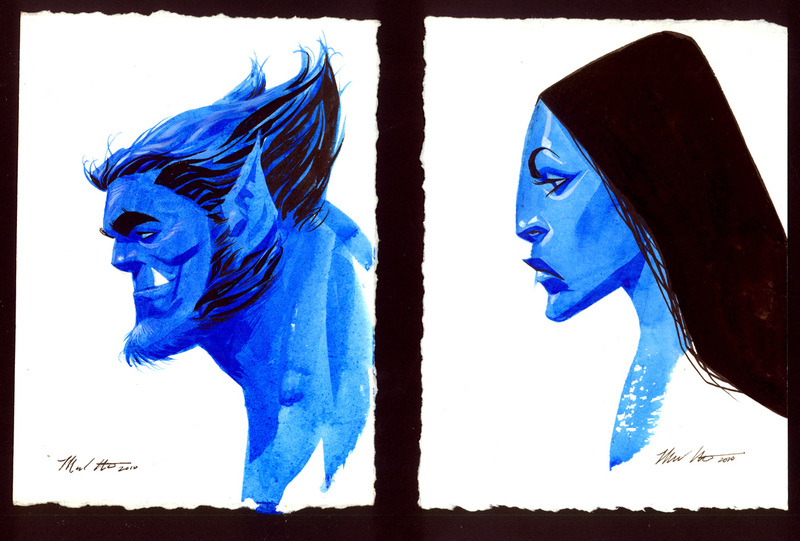 Never saw the movie, and this was inspired by the fact that i had blue ink in the studio. Simple as that. Great work Mike! The Beast looks downright grizzly! These look great! I would love to see a whole story done like this!